The EC had written to the factor on September 27 that "it would be open to you to file fresh application along with the documentary evidence in support of the claim that may be made in such application," Mr Yadav said in a statement quoting the poll panel's letter. 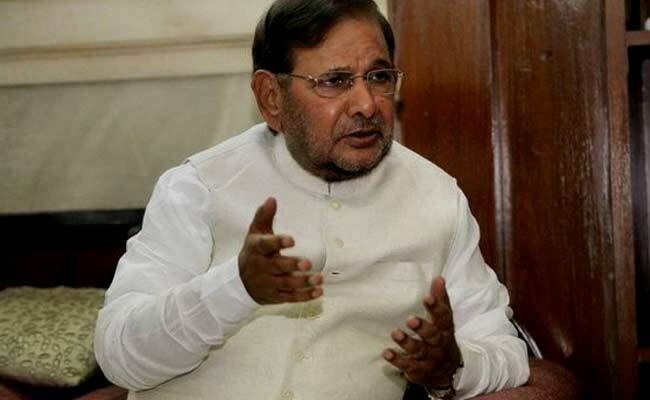 New Delhi: The rebel Sharad Yadav faction of the JD(U) today said it will submit a fresh application to claim the party's poll symbol after the Election Commission (EC) asked it provide evidence to back the demand. "We will be submitting the fresh application very soon," he said. The Yadav faction had earlier told the commission that it would hold a national executive meeting of the party on September 17 followed by a meeting of the national council on October 8 and sought four weeks to submit the required documents to back the claim. Mr Yadav joined hands with the opposition Congress and other parties following his campaign against JD(U) chief Nitish Kumar after he broke the JD(U)-RJD-Congress alliance in Bihar in July and allied with the BJP.